Exchange wedding vows - where George Burns & Gracie Allen, famous TV & Vaudeville stars performed their hilarious husband & wife Vaudeville routine. Deliver your corporate "State of the Union" address - where Presidents Teddy Roosevelt and Woodrow Wilson addressed crowds. 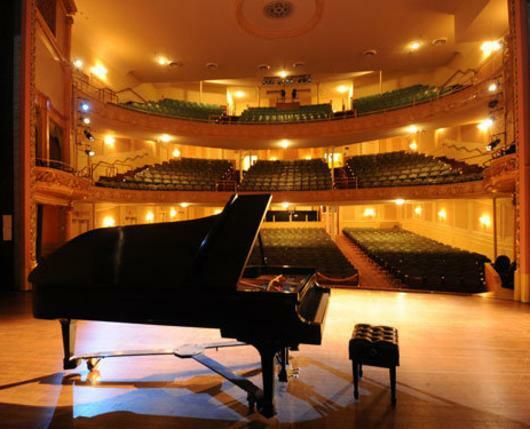 The stage at Miller Symphony Hall has been home to Vaudeville, Burlesque, Broadway Shows, the Allentown Symphony Orchestra, the Allentown Band, and world-famous performers. 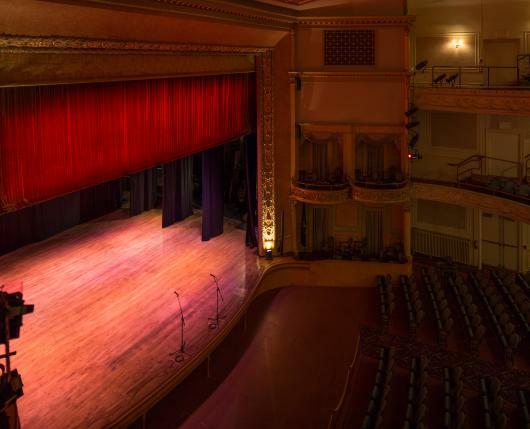 Together or separately, the stage and theater provide not only an exciting backdrop for your special event but a unique opportunity for your guests to see areas not generally open to the public. 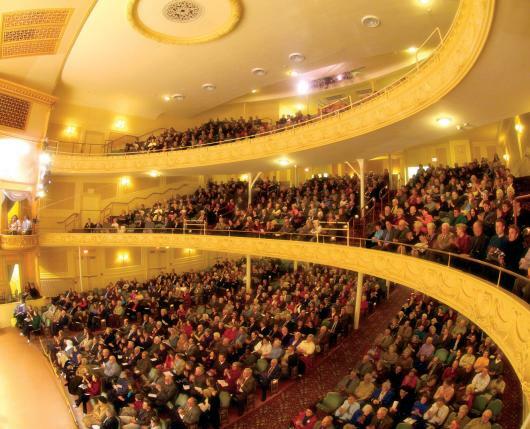 The entire hall, with three floors of seating can be rented for large-scale performances, public gatherings, corporate meetings, fundraising events, or special occasions. The stage, itself, provides an intimate, behind the scenes setting for private entertaining, seminars, and meetings, to name a few. It’s the windows that first draw your attention. The windowed walls of the top-floor give added dimension to your event. The natural light energizes meetings and enhances the spirit of special celebrations, bringing a breath of fresh air to any occasion. 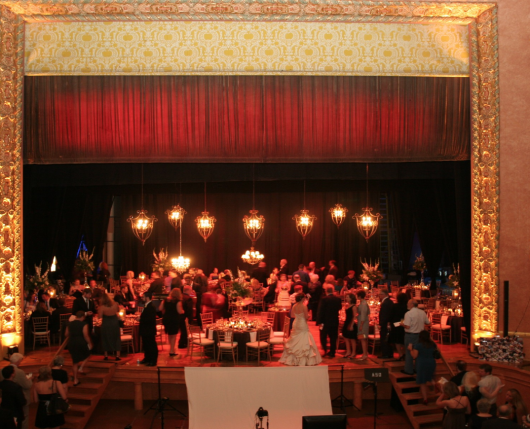 And, in the evening, these same high-arched Palladian windows reveal Allentown’s downtown city lights and present a dramatic backdrop to your special program or celebration. The room's neutral colors showcase event décor, providing a professional backdrop and enables a seamless transition from formal to informal occasions. Click here for a virtual tour. The Recital Room provides a private space for small-to-mid size, off-site meetings, or gatherings. Its central second-floor location makes it ideal as a break-out room for business sessions and a preparation room for large-scale events. Click here for an approved list of Lehigh Valley licensed and insured caterers that have been vetted by the staff at Miller Symphony Hall.